Hi everyone! I have a layout today that I had a lot of fun creating using goodies from the Clique Kits shop! I used a tiny square punch and punched a million trillion squares from this paper pad. I am crazy about the colors and patterns and how they mix together. I laid them out on the paper without worrying if they were straight or not. I gradually added less and less squares per row, until I was happy with the design. I also used some stickers, sequins, and wood veneers from the shop! They're having a super clearance sale, where you can find these and other items. Plus you can use the code ALLIE10 for an additional 10% off anything and everything! 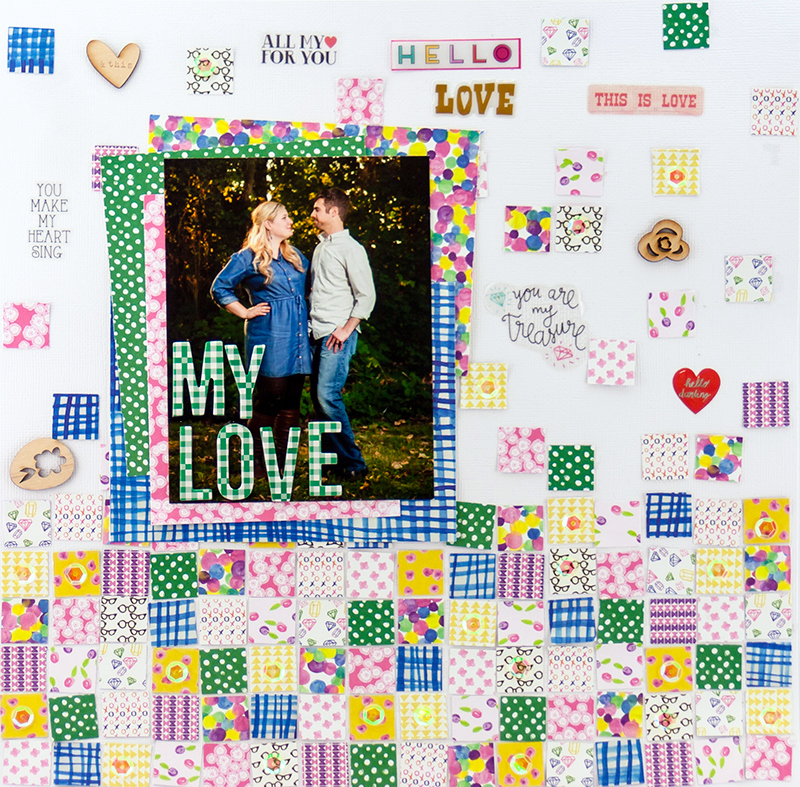 Love the design with all of the squares Allie, and that you didn't keep them all lined up and straight! Such a fun layout!! I just love your design on this!! This is just my favorite layout ever!! Love everything about it! Joy Layout and a Chickaniddy Year in Review! Catching Up with The Cut Shoppe!